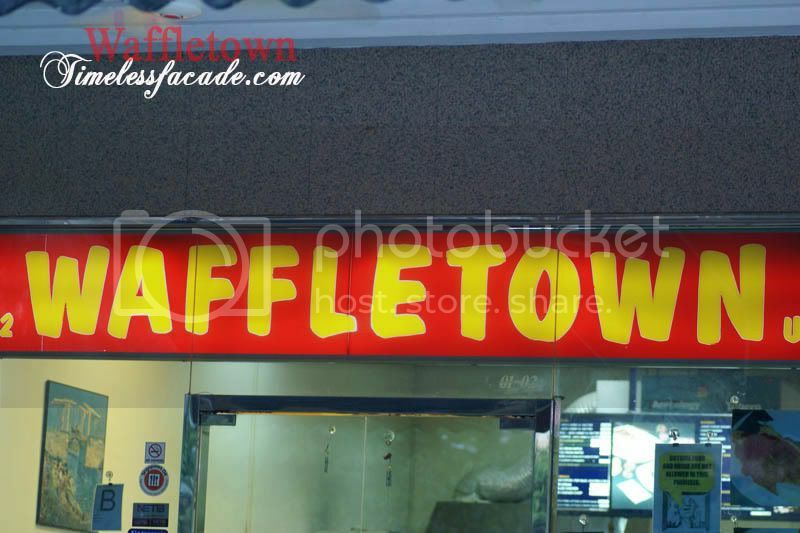 Ever since the demise of A&W in Singapore, Waffletown is probably the only fast food outlet in Singapore that serves up fried chicken and waffles in a small unit reminiscent of an old school American diner. 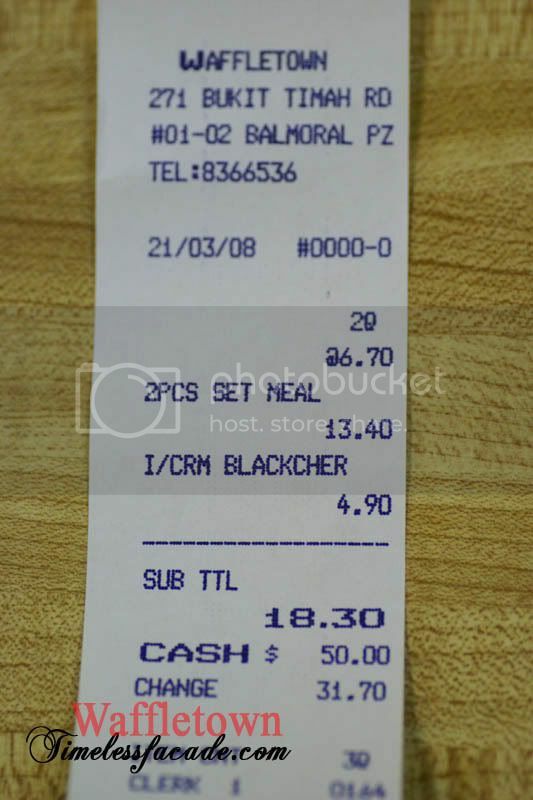 Located at Balmoral Plaza, the place isn't big and comes with brown table tops and orange chairs affixed to the ground just like A&W in the old days. A very serene sense of nostalgia sets in and one can't help but relish in the comfort it offers. The chicken skin was crispy sans the layer of fats beneath, which of course is the lesser of two evils. Meat was moist and juicy and didn't come across as oily as those served up by KFC. Only downside was the seasoning of the chicken, which I personally felt was a little inadequate. 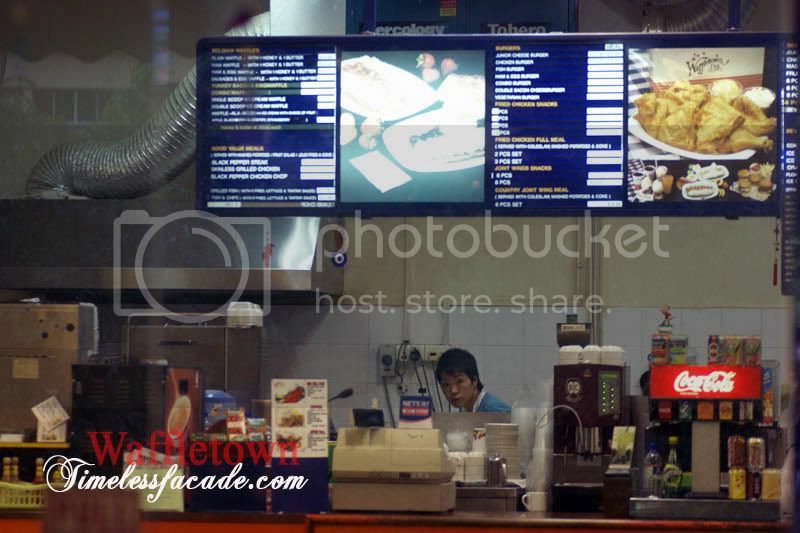 The accompanying fries and coleslaw tasted like those ready made ones you can buy off the shelves from any supermarket. 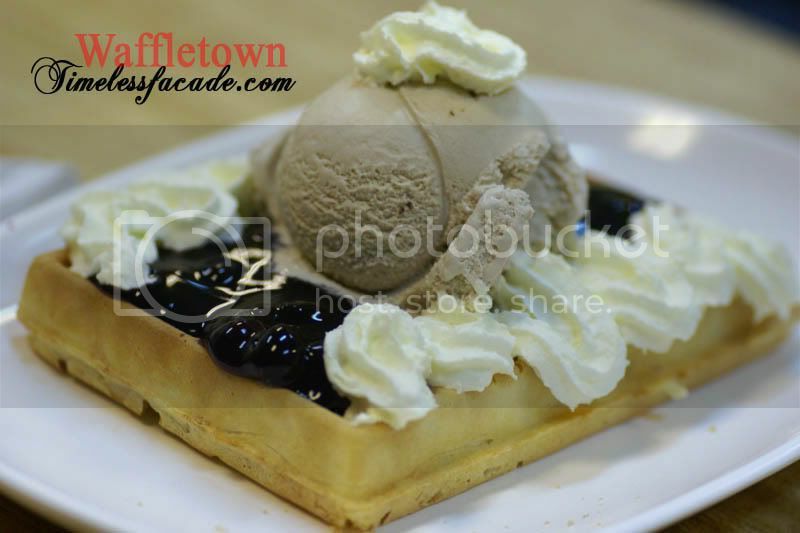 Since the place is called waffletown, its really a no brainer that waffles are their specialty. The waffles were very crispy but that in itself presents a problem, to me at least. Crispy waffles aren't moist and my idea of an ideal waffle should be crisp on the outside yet moist and full of bite on the inside. It must also be fragrant. Waffletown's waffles fulfilled the aroma criteria but they were crispy inside out, which made it a little like eating crackers. 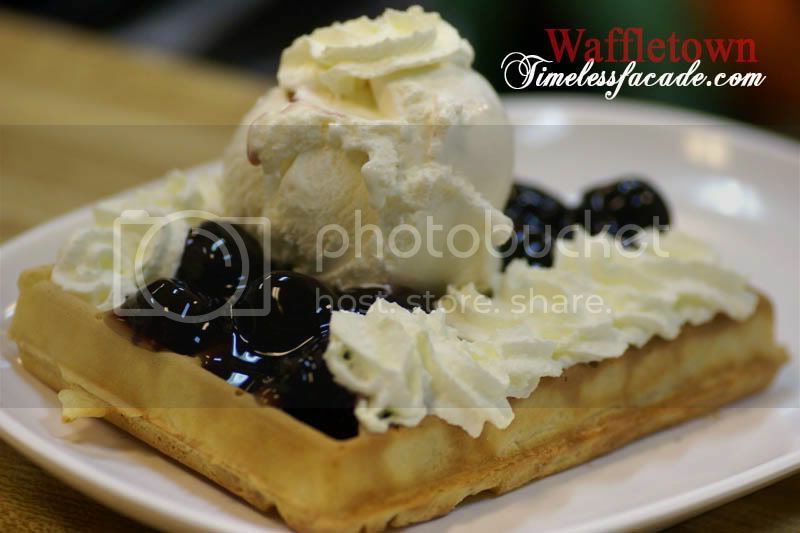 Fortunately, thats where the toppings and ice cream come into play, lending the waffles with additional flavour and moisture. All in all a good eat. 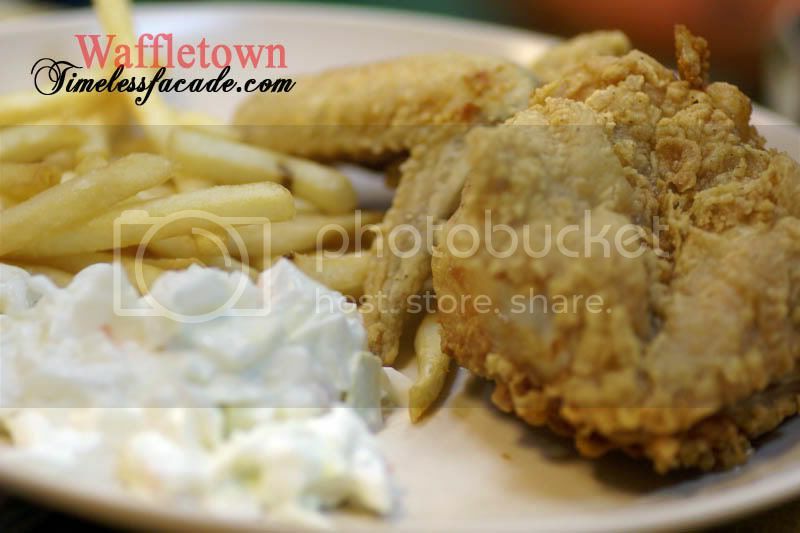 At about $6.70 for a 2 piece chicken set that comes with 2 sides and a drink, Waffletown goes for about the same price as KFC. Quality is much higher here though but there is the problem of location. its now available in ngee ann poly block 52.